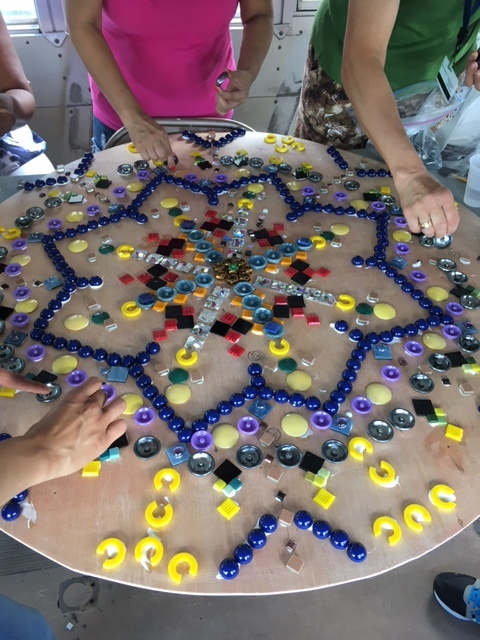 Based on the Guidance Center‘s ongoing work using mandalas as a meditative, mindfulness-building exercise for clients, the Beautiful Stuff Project and Connection Lab partnered with them to provide a series of mandala workshops for women who are survivors of trauma. 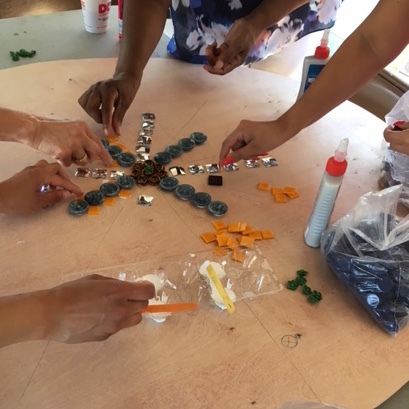 With funding from the Somerville Arts Council and donations of tile from Artaic via the Beautiful Stuff Project, we spent three sessions on the Arts Council’s MUSCRAT bus making collaborative and individual mandalas. 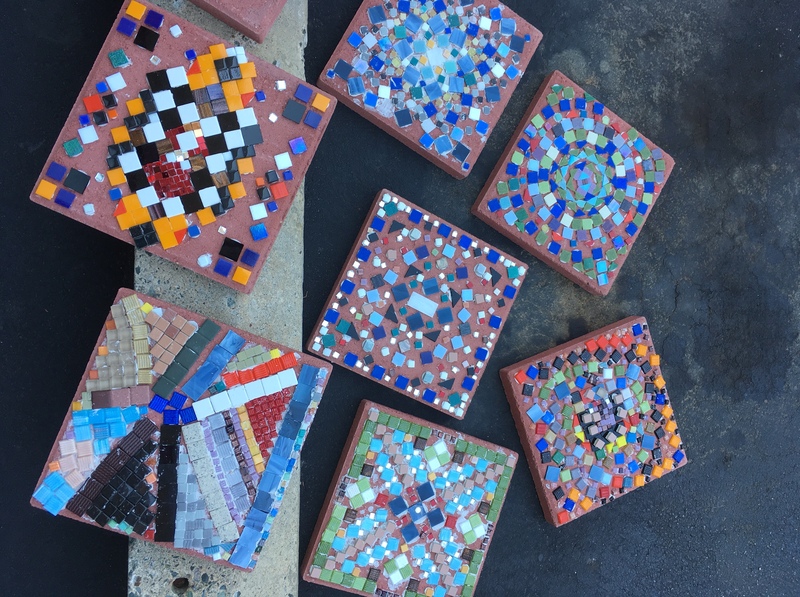 The individual mandalas are designed to be garden pavers, to be placed indoors or outdoors as a permanent expression. 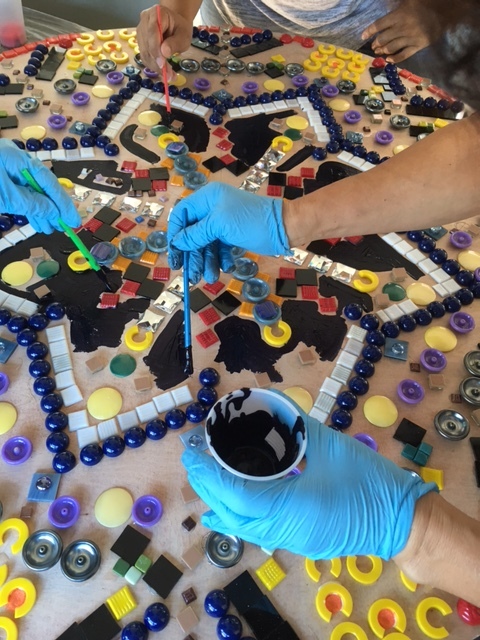 The large collaborative mandala will be displayed at a domestic violence vigil in October. By working on the bus we were able to worry less about making a mess, but the space was not always easy to use. Despite the cramped quarters, we all wished we had more time each session and stretched our hour-long sessions as much as we could!